Many electricians decide to go into business for themselves. After all, they’ve mastered the trade, created relationships with loyal customers, and developed a good sense of the rules and regulations. However, knowing how to run a successful electrical business requires a different skill set than that of a first-rate electrician. 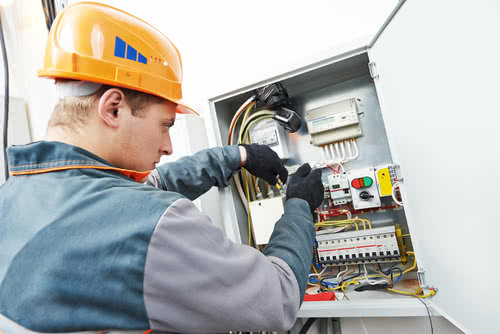 You likely spent the first few years in business learning the finer details of running an electrical company. Here’s a chance to check in on your progress as a business owner, and spot opportunities for improvement and growth. Just as you need to stay current in your technical skills to maintain your license, keeping your business successful requires a periodic assessment and tune-up. If your company is growing and profitable, it may be tempting to continue with business as usual. But are you as profitable as you could be? Perhaps your competitors have a formula for how to run a successful electrical business that’s more potent than yours. Business benchmarking is sort of like a voltage drop test. You’re comparing your numbers to those of your peers. CliftonLarsonAllen provided three years of benchmark data for electrical and mechanical contractors. For example, it took contractors an average of 69.6 days to convert their receivables into cash. How long is it taking your business? Check out data relevant to your business to make sure you’re keeping pace. If you don’t have a business plan, it might be time to create one. Running an electrical business successfully involves having a plan in place for how you’ll reach your goals. If you’ve created a business plan in the past, also keep in mind that it can “expire” quickly. That’s because circumstances change. Maybe it’s something good, like a new residential community is about to be built nearby. Or maybe it’s something bad, like a new electrical contractor opened up in your town and hired away some of your best people. Whatever the circumstances, it’s important to keep a current plan. A common way to begin is with a “SWOT” analysis. SWOT stands for strengths, weaknesses, opportunities and threats. Once you identify them, you can create or update your business plan. Getting customers can be a challenge, so it’s vital to keep them. When possible, check in to see how things have worked out since your last job. Perhaps your customer remodeled a bathroom and your role was to install several new fixtures and GFCI receptacles. Maybe adding new fixtures to another bathroom would spruce it up without a complete remodeling job, a small project you could propose. Maybe you’d want to bring a new NFPA 70 standard to the attention of a customer you haven’t seen for a while. Also, as innovative electrical system products come to market, like surge protectors with energy-saving features, your customers might appreciate an occasional product update. It may also keep your name top of mind the next time they need an electrician. Almost daily, new small business technology hits the market that enhances personal safety and business productivity. You don’t need to buy new technology for its own sake, but to help you grow and maximize your profitability. Whether it’s software for customer relationship management, bookkeeping, making financial projections, tracking time, managing work orders, or job bidding, it’s all out there and getting better all the time. Technology’s long-term benefits can make it a worthwhile investment. Running short on cash can be costly in more ways than one — when it forces you to maintain a balance on a credit card account, lose out on discounts from suppliers, or prevents you from purchasing productivity-enhancing technology. Leveraging working capital loans and other forms of small business financing are key to running a successful electrical business. They can tide you over during a dry cash flow spell. There are two aspects to bidding a job successfully when running an electrical business: getting a healthy share of the available work and charging the right price. If your bids aren’t competitive, you won’t get much business. If they’re too competitive, you could lose money. Take a fresh look at how you’re pricing jobs, and how you’re deciding which projects to bid on (and be prepared to say no to new business). Make sure you’ve accounted for all the costs you need to cover, including overhead, with some money left over for a fair profit. Also, consider your success ratio. If you’re consistently losing out to a competitor, try to determine the reason. And remember, cost isn’t the only variable, though it’s typically the most important. Are you getting your bids in promptly? Are they detailed, professional and clearly presented? Where applicable, can you provide customers with more than one option when bidding? Knowing how to run a successful electrical business includes knowing how big, or small, your business should be. The “Goldilocks principle” applies here — not too hot, not too cold … not too big, not too small. Too small is when you’re so busy doing administrative tasks that you don’t have enough time to do the work that’s the focus of your business. Too large can mean having greater capacity — and larger associated expenses — than the available work. It’s essential to find the right balance. The risk of personal injury inherent in running an electrical business is one of the reasons you can command a good price for your work. But easing up on safety precautions, for whatever reason, is not only bad for business, but could mean the end of your business. Make sure you have proper safety training programs in place, as well as a workers’ compensation policy. If key people in your business are closing in on retirement, or might just decide to move on to another opportunity, don’t be left in the lurch. It’s not always easy to find skilled younger workers moving into this field, but don’t let the challenge deter you. Consider partnering with a local community college to offer internships or apprenticeships, to keep new talent flowing into your business. No list of tips on how to run a successful electrical business is complete without a reminder to ask your customers to refer their friends to you. Sometimes it just doesn’t occur to them to do so. But if they’re happy with your work, and if you help them remember you by staying in touch, they’ll become your best — and least expensive — marketing tool. Of course, progress is hard to come by without time, effort and determination on your part. Sometimes, it will also cost money. As you prep for growing your electrical business, you may want to research how to get a small business loan to front some of these expenses without tying up your cash flow. Whether you’re ready to tackle each of these pieces of advice in one go, or you need to start small, it’s important to carve out time to consider your business practices and plan for future growth.